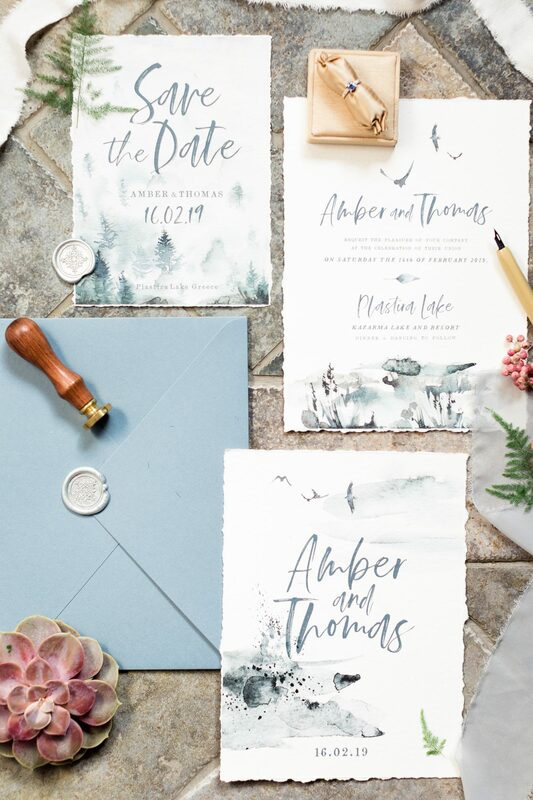 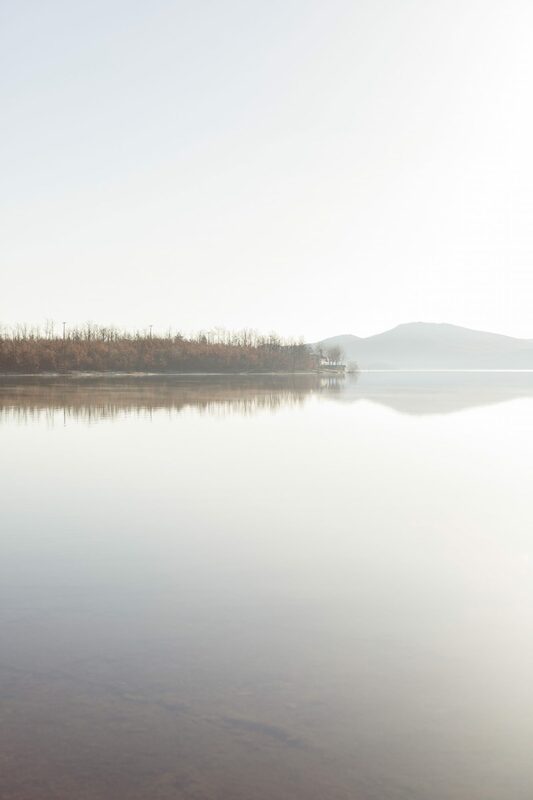 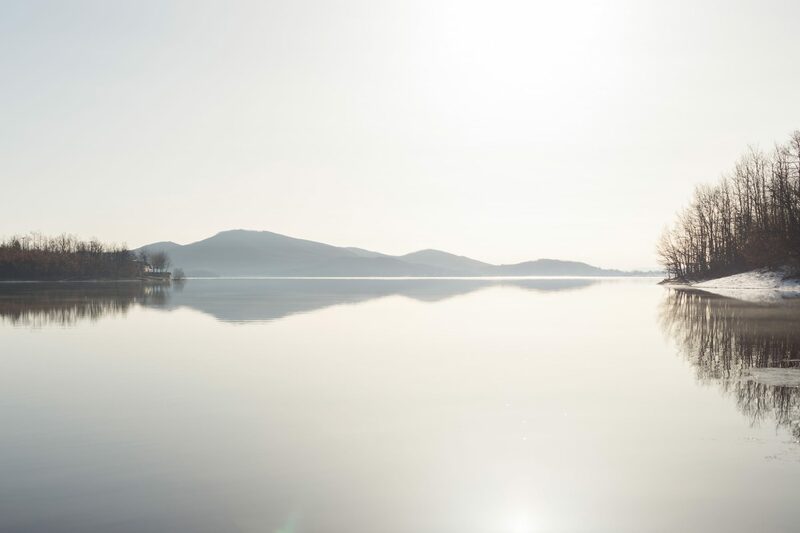 The love of winter and an aetherial winter color palette were the trigger for this elegant photo shoot that took place in a mesmerizing lake venue in central Greece. 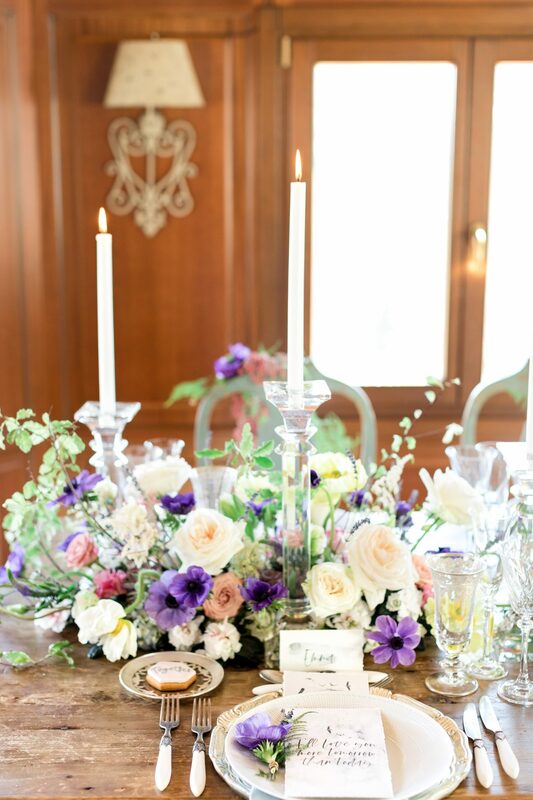 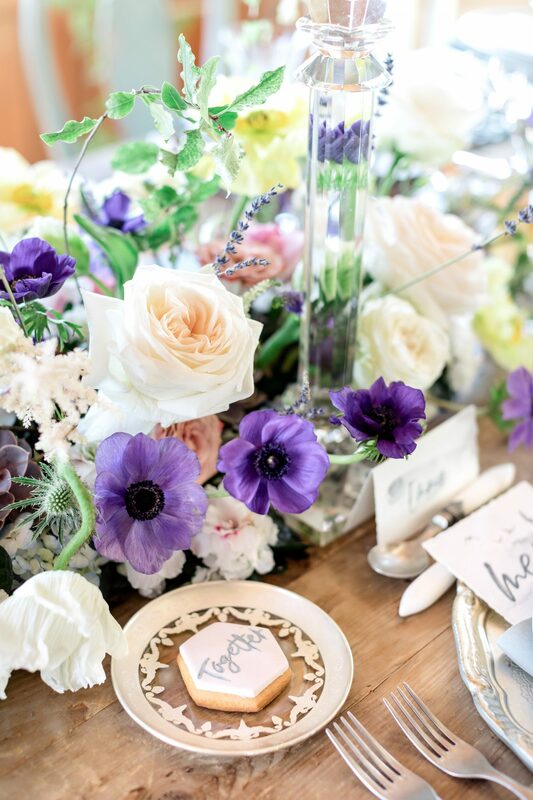 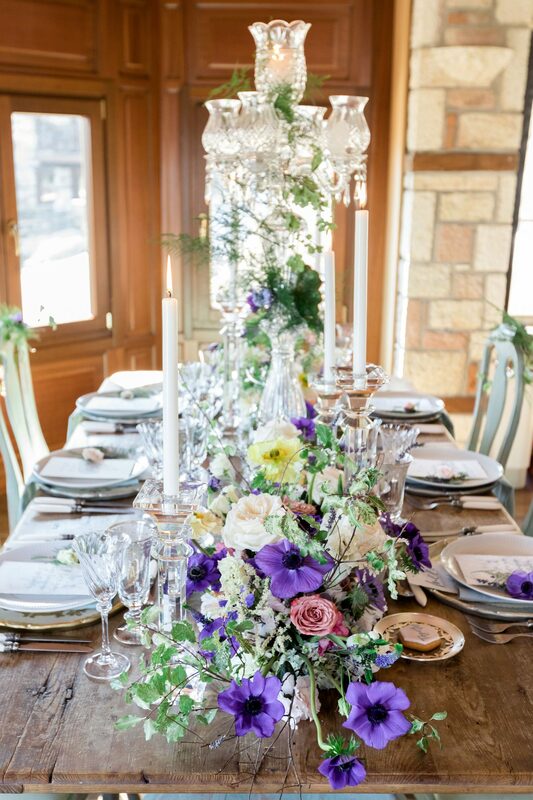 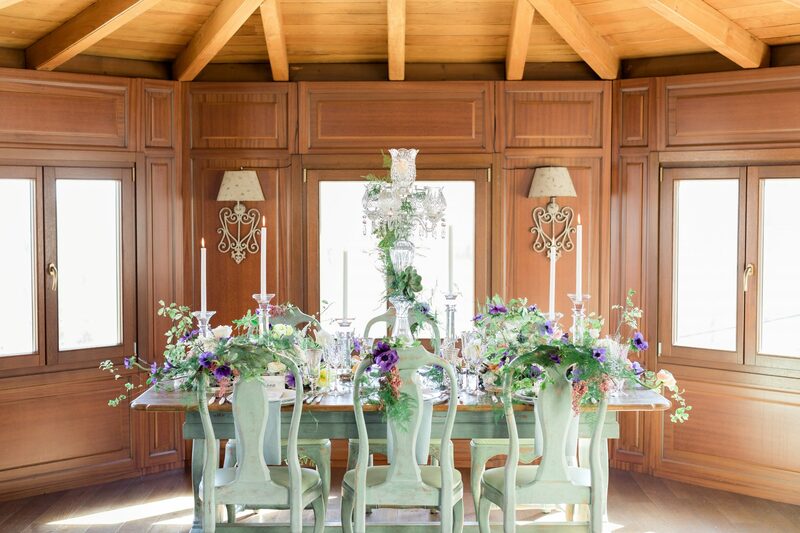 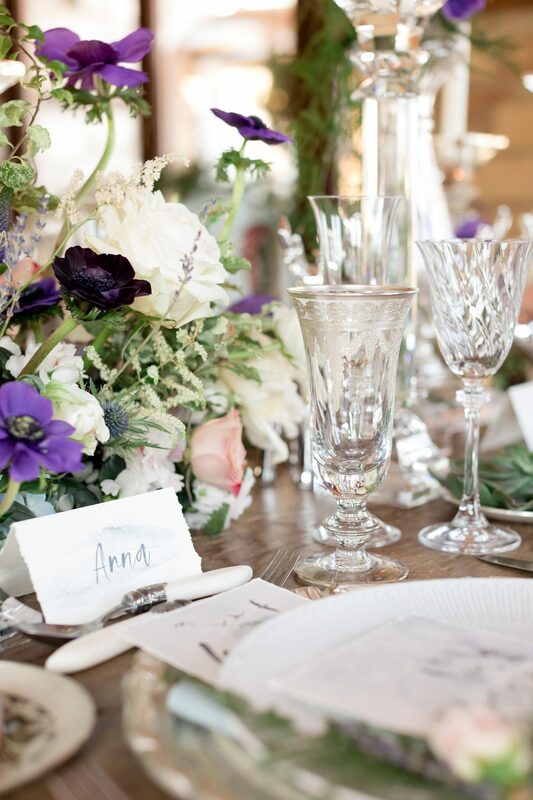 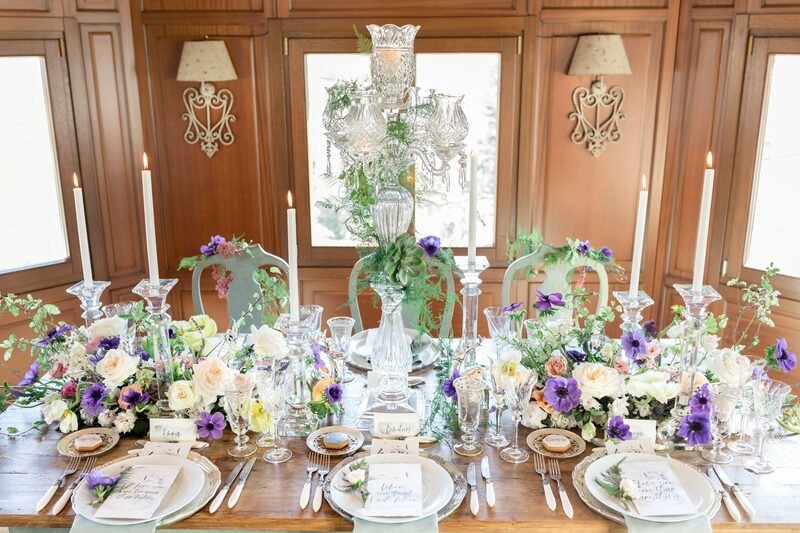 Purple anemones, white o’hara garden roses, lisianthus, succulents, ranunculus ans asparangus foliage composed a rich flower centerpiece that along with crystal candle holders and an amazing crystal chandelier made this fantastic and über-stylish art-de-la-table. 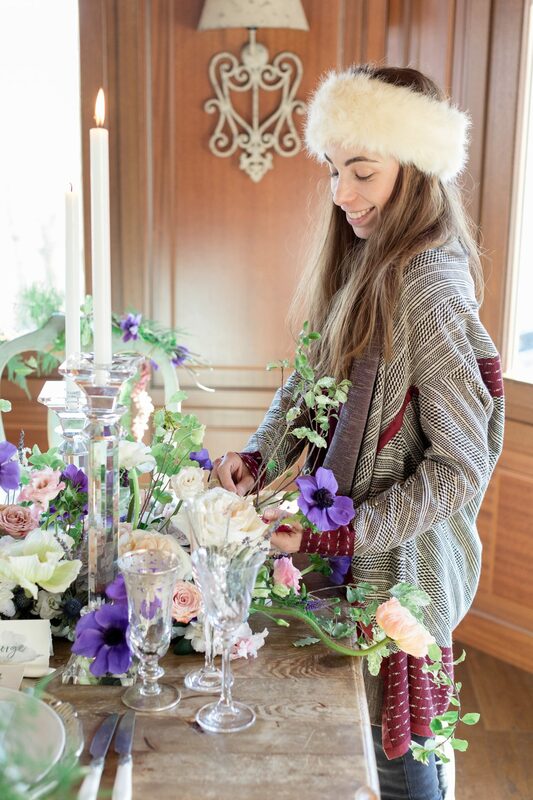 A tiny detail portraying the season stole our hearts; our two silver reindeer ornaments on both sides of the grande crystal chandelier. 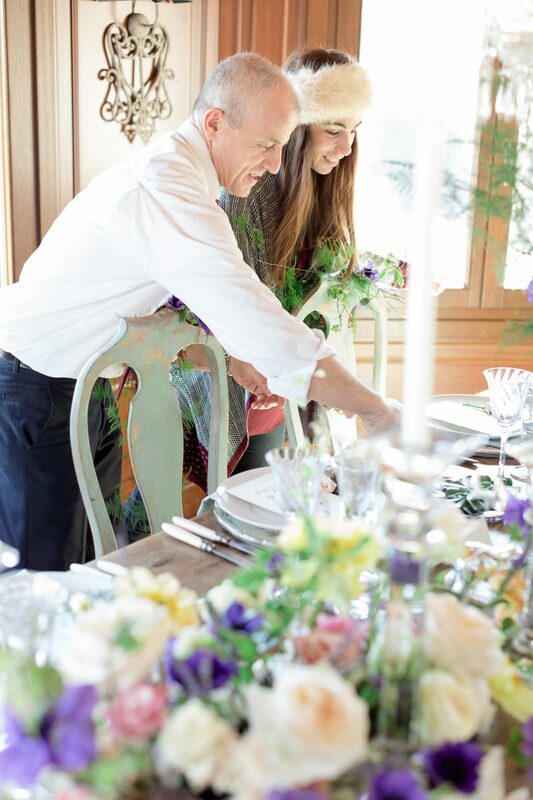 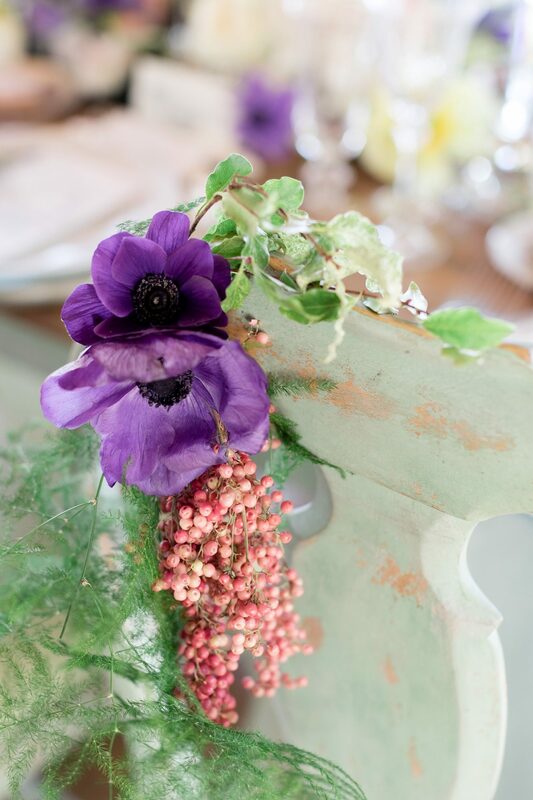 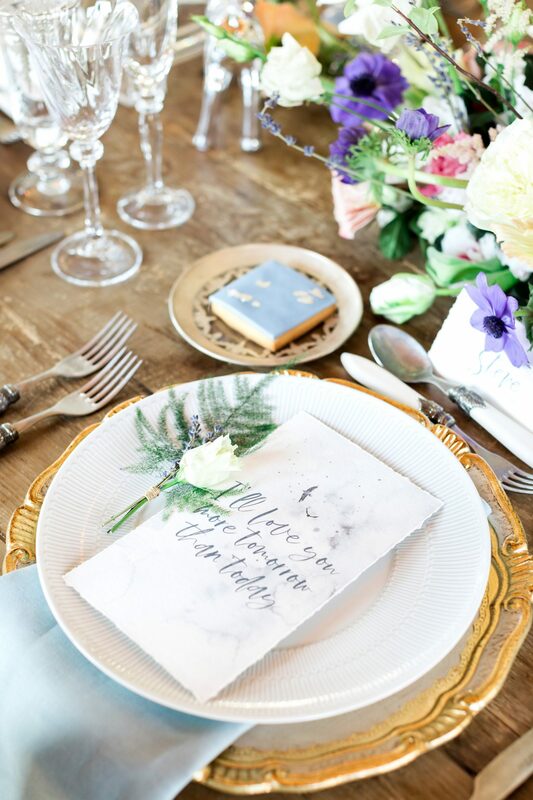 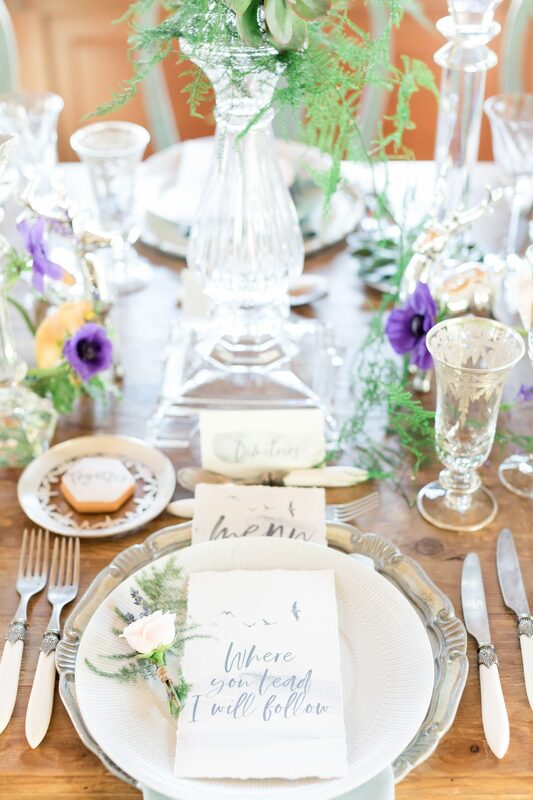 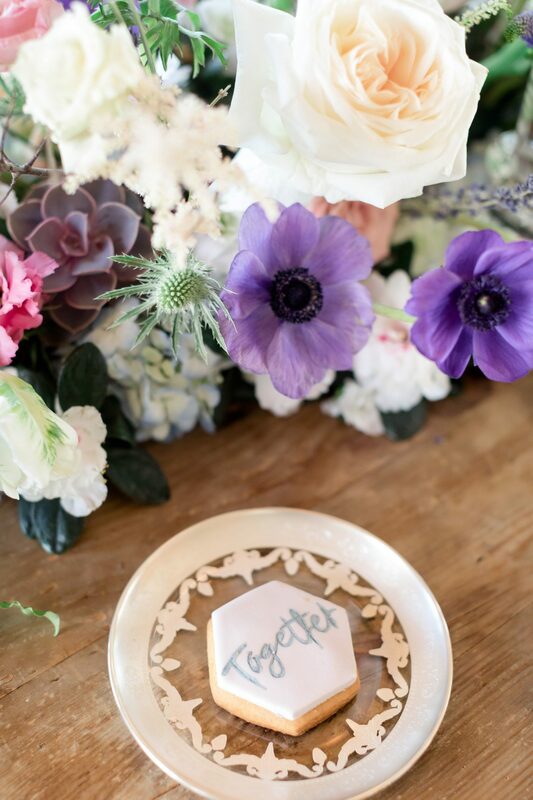 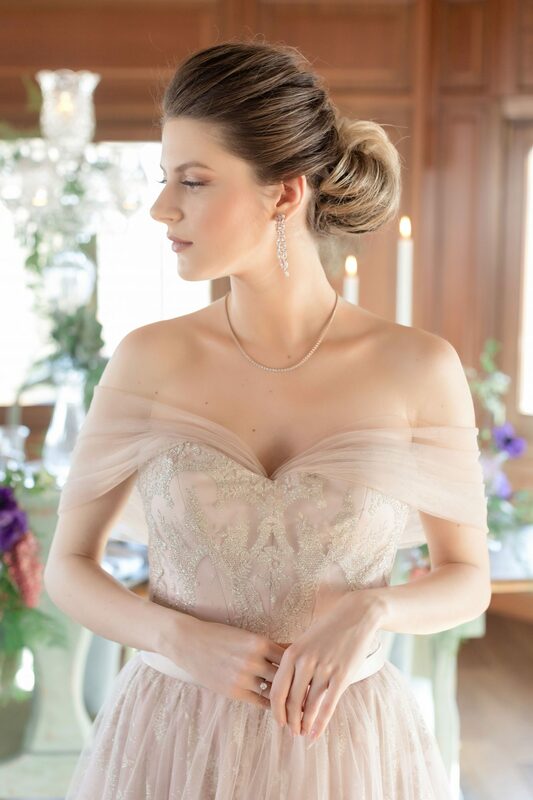 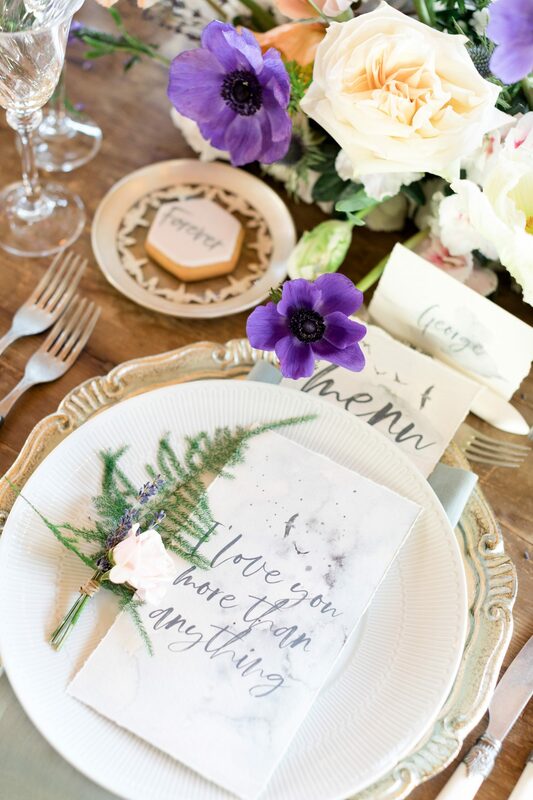 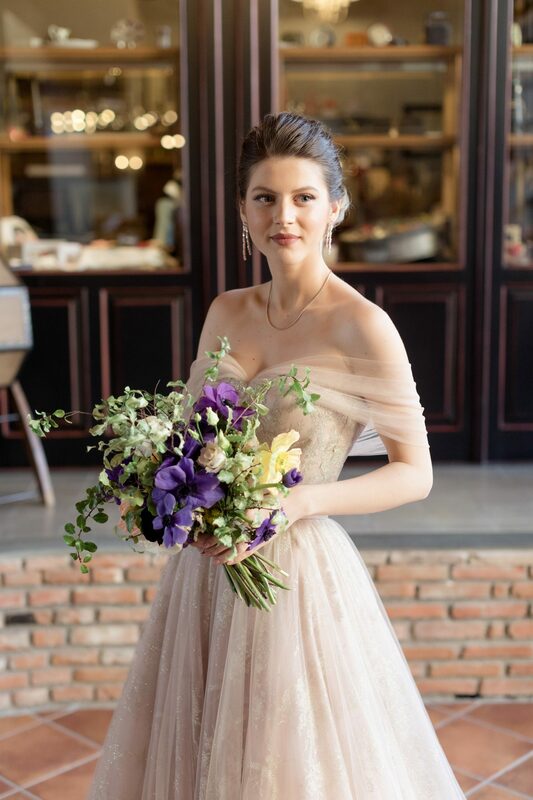 No styled shoot was ever completed, without the valuable (and non negotiable!) 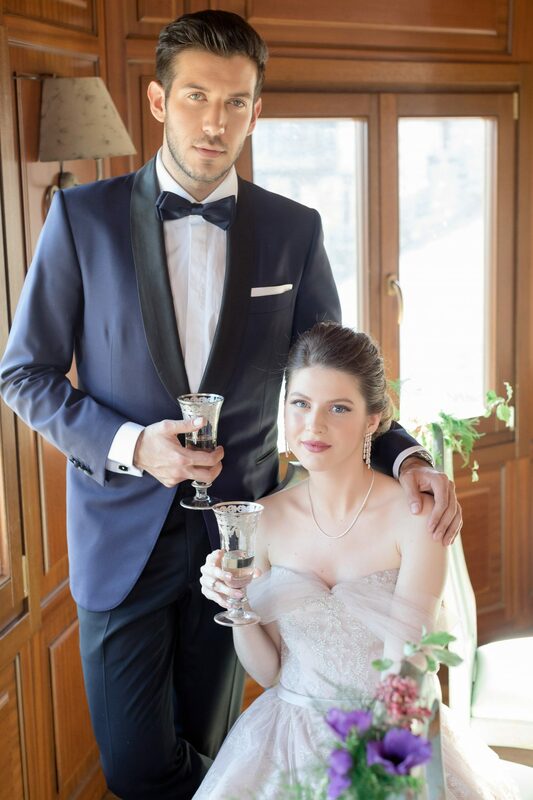 contribution of the tabletop rentals. 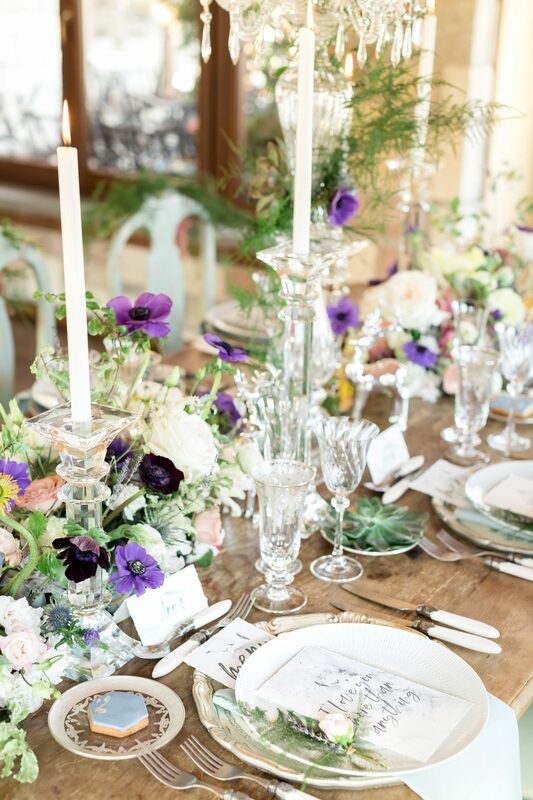 Charger plates, main course and bread plates had to be in absolute accordance with the concept, and thoroughly selected cutlery, glasses (red wine, white whine and water glasses) and linens completed the fabulous set. 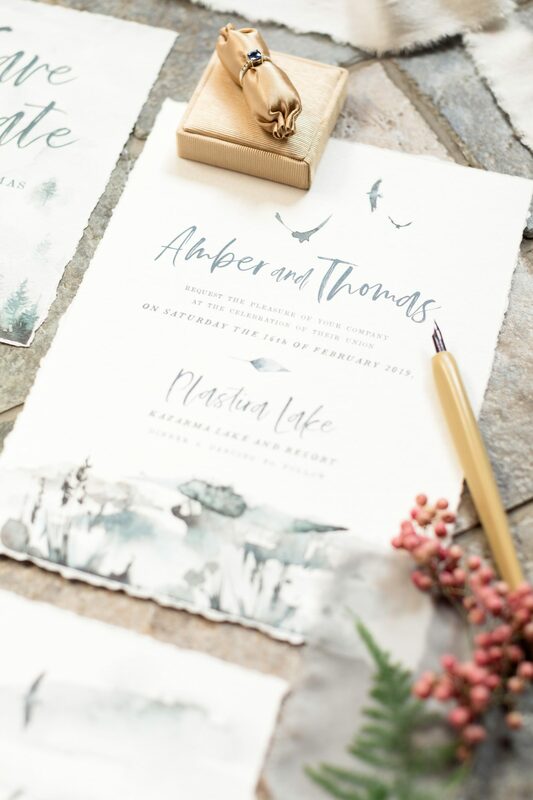 Our graphic designer, designed one of the best stationary sets out there and gave the missing magical touch. 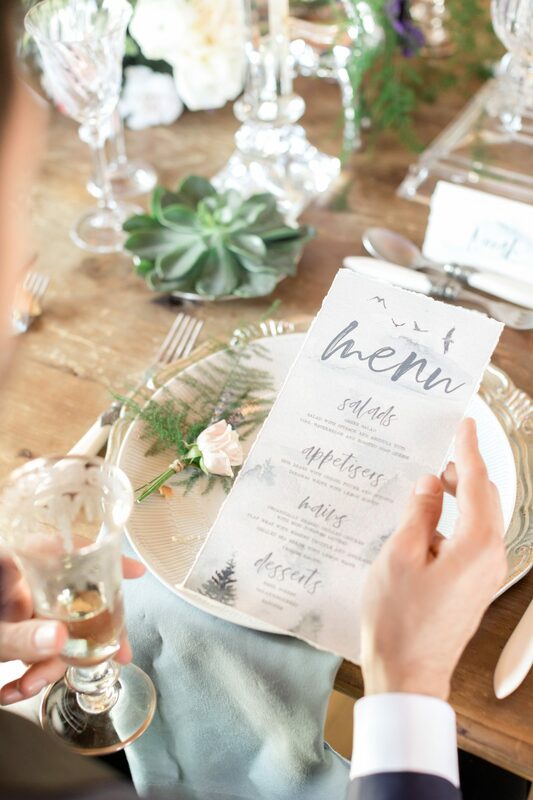 Save the dates, Invitations, Menus, Vows, Welcome notes and Place cards were all part of this super exciting photo shoot.